Depression is a silent killer and it can come in many different forms. It can manifest in something inconspicuous, but equally dangerous such as an eating disorder. In fact, depression is also linked to anorexia and binge-eating disorder (BED). Especially now that the holidays are fast approaching, people with depression might have trouble dealing with the festivities. Anorexics and binge-eaters may find the abundance of food and social activities stressful. According to research laid out by Healthline, patients who have been diagnosed with BED commonly have depressive episodes. This is troubling, as it’s considered the most prevalent eating disorder in the US. The disorder affects 2.8 million people in the country. It’s the same case with anorexia nervosa, which refers to the psychological condition to rid the body of food. Anorexia is usually associated with an extremely negative self-image, one of the primary traits of depression. It can be the cause or effect of depression, as the two conditions stem from the same mental issues. There is also a connection between disordered eating patterns and the low production of serotonin, which controls mood, appetite, and satiety. A study published in the Neuropharmacology Journal revealed evidence of reward-related brain dysfunction in a variety of eating disorders. Therefore, understanding eating disorders as a neurochemical issue allows experts to come up with different therapeutic approaches for the illnesses. Aside from behavioral therapy, treatment for depressions usually include anti-depressants. They help correct chemical imbalances of neurotransmitters in the brain. But because they are drugs, they have side-effects that can impair other aspects of the patient’s life. 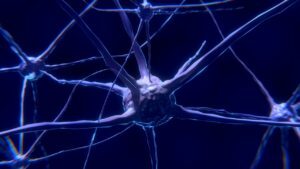 This is why many are opting for treatments like Deep Transcranial Magnetic Stimulation (dTMS), a non-invasive procedure that uses magnetic fields to stimulate nerve cells in the brain. Symptoms of depression improve as the patient’s neuronal circuits get activated over multiple treatment sessions. Of course, depression and eating disorders cannot be reduced to chemicals in the brain nor physiological traits alone. A host of different issues can even create complications when one is treating depression with neurological medication, as discussed by Dr. Scott West in a previous article. This is because a large part of mental health comes from larger social contexts. Maryville University claims a person’s psychological state is affected by factors such as school, work and their home environment. Experiencing traumatic incidents and social pressure play a huge role in the development of either depression or dysfunctional eating patterns or even both. Indeed, depressive thoughts can stem from unrealistic expectations when it comes to the human body. Someone with anorexia tries to exercise control over their body through unhealthy weight management. This compulsion usually comes from a perception of not meeting society’s standards. In turn, this lack of control and despair is usually cited as a primary cause of depression. Most binge-eaters, meanwhile, turn to food to deal with psychological stress rather than face the circumstances. Kirsty Lee and Tracy Vaillancourt of the University of Ottawa emphasize that treating eating disorders “should ideally target negative attitudes, promote healthy weight control behavior, and contain an element of self-compassion.” In other words, addressing both depression and an eating disorder also requires optimism and positive reinforcement. Achieve TMS East’s treatment methods can be helpful in addressing the physiological roots of depression. Rather than treat the conditions with medication, TMS accompanied with therapy assures a holistic process.